The perfect porcelain skin is something almost all of us desire and strive to achieve. We spend countless hours searching on the internet for the best solution for oily skin, blackheads or dry and dull skin but to no effect. We spend a fortune on cosmetic face care products but they sometimes just make the situation worse. So what can we do to get the perfect glowing look on our face? Believe it or not, the answer may have been literally in front of our noses, the secret is in the oil cleansing method. You may be surprised to hear but washing your face with oil is the solution for all your problems. It works on all skin types from extra oily to dry and dull and some oil combinations are excellent for acne and blackheads treatment as well. How can it be so simple you ask? 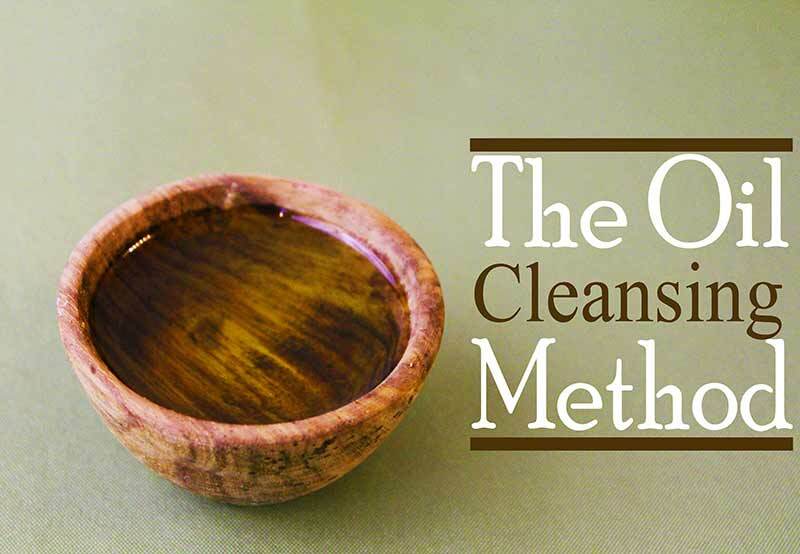 Here is how the oil cleansing method actually works. The basic idea behind this oil cleaning method is that a wash made out of combination of oils complement our natural skin oils and give it a rejuvenated and fresh look. You might think that this sounds a bit illogical especially if you have oily skin, but the truth is that applying oil to your face doesn’t make your skin oily, it happens on account of unbalanced hormones, dirt and bacteria. The oil in our skin actually protects us from harmful environmental factors which may cause problems with our skin and when we wash the face with commercial products they strip away our face from the oil, and we get dirty skin. Moreover, when we remove the skin’s natural oil our organism tries to compensate by producing more and more oil, which lead us to oily skin, and that’s why these commercial skin care product are not so effective. So how can this oil cleansing method really help? It’s because oil dissolves oil, so the oil you use to massage and clean your face will dissolve the oil that has hardened along with the dirt in your pores and it will give your skin the natural lubrication it needs to stop it from overproducing oil. If you use the right oils you can clean your pores of dirt and bacteria gently and naturally and you can replace the dirty oils with natural beneficial ones. We come to the conclusion that a good combination of oils can be the perfect solution for sensitive skin care, the most effective and cheaper as well. We’ll share the universal oil combination for all skin types and tell you how to use it, you should try it out and throw away all your commercial skin products and never use them again. Olive oil hydrates the skin and gives it that nice, youthful glow we all want. It’s believed that it also helps with wrinkle reduction, and soothes irritated and sensitive skin. Castor oil penetrates the pores and removes all the dirt and bacteria piled up and removes blackheads as well. Even though it’s so heavy and greasy, it can dry out your skin if it’s not used in a combination with some other moisturizing oil like olive oil. For dry skin go with less castor oil more olive oil so 3:1 ratio ( three parts olive oil, one part castor oil). So calculate the amounts according to your skin type and mix the oils in a small bottle which you can use for a couple of treatments. Try with a small amount first to see what works best for your skin, experiment a little bit and you’ll find the perfect solution. First make sure your face is completely dry and pour some of the mix in your hands. Rub your hands a bit and start gently massaging your face with it. Use your fingertips and slowly apply the mixture on your entire face, gently rubbing and massaging. Continue this massage for a minute or two, don’t scrub just rub. Give yourself a free facial and enjoy. Next you’ll want to steam your pores a little bit, so wet a towel with some hot water (not boiling hot) and apply the wet towel on your face. This will steam your pores and remove all dead skin cells and dirt from them. Leave it on until the towel reaches room temperature, about a minute or two. Remove the towel and rinse it with water. You can use the same towel to remove the excess oil from your face. Do not wash your face afterwards even if you feel like your skin is still a bit oily, that’s how it’s supposed to be. You’ll probably notice your skin to be much softer after the first time. Repeat this once or twice a day and you’ll see the results within a week. For best results do this in the evening before you go to bed. And just splash your face with water in the morning and enjoy in your beautiful problem-free skin. This will replace all the skin care products you currently have in your medicine cabinet and you are never going to want to buy something else again.